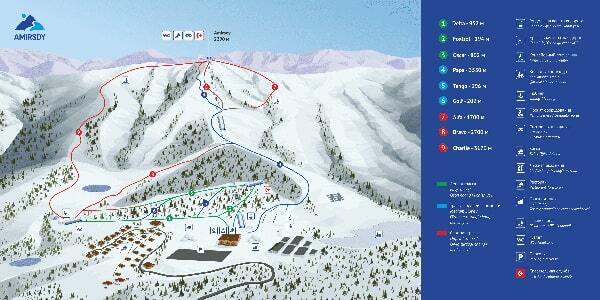 Download the latest Amirsoy Mountain Resort Piste Map. 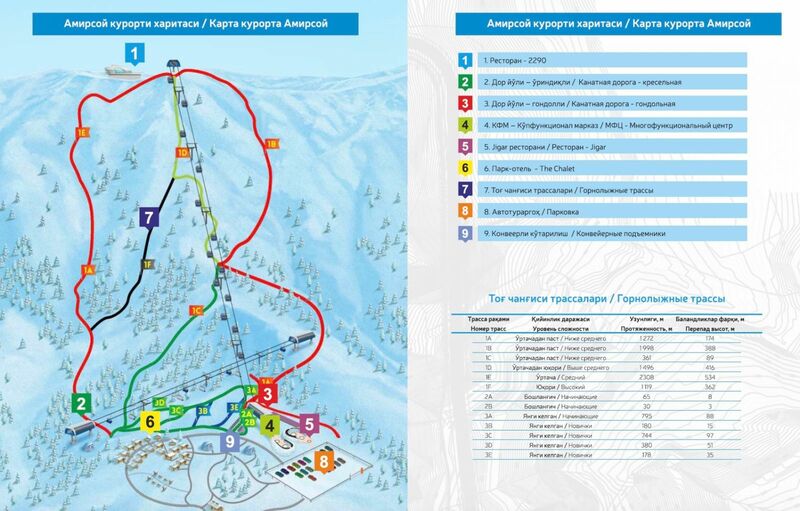 This winter there will be eight pistes, increasing to 28 pistes of various levels with a total length of 21.3 km by 2022. As well as snow canon and night skiing.